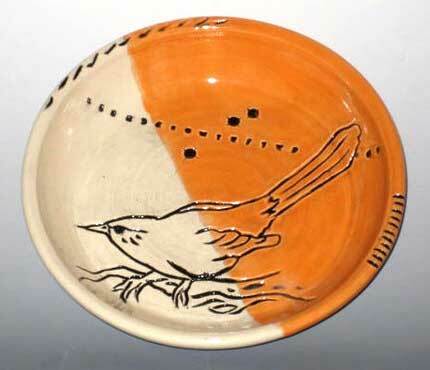 One arm potter from Mississippi has tried all the others but loves her L&L Kiln! "I am a huge L & L fan. 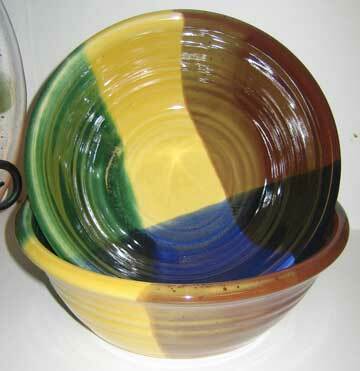 What I originally had was an Econo-kiln with an LT-4 Kiln Sitter. It has a manual, orange control box. L& L kilns are my favorite. 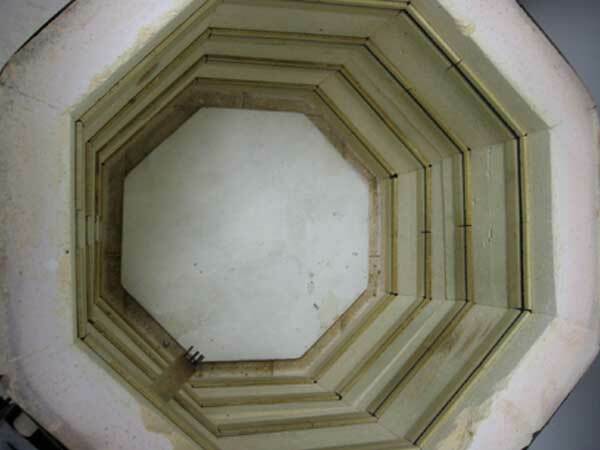 I find that the construction of the kiln with the ceramic element holders, better withstands the test of time and use." "In the case of the L & L Econo-Kiln, I purchased it from a woman in Holly Springs who had it stored in her soggy basement. It was wrapped up in plastic, but moisture over the years had caused rust on some cosmetic parts of the kiln. 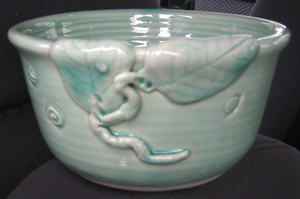 I cleaned it up, test fired it, then began using it routinely for both bisque and glaze firings. It's a testimonial to the durability and longevity of the product you are manufacturing." 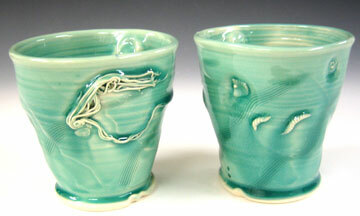 "I find that the kiln fires consistently. For that reason I use it worry free and can depend on predictable results every time. 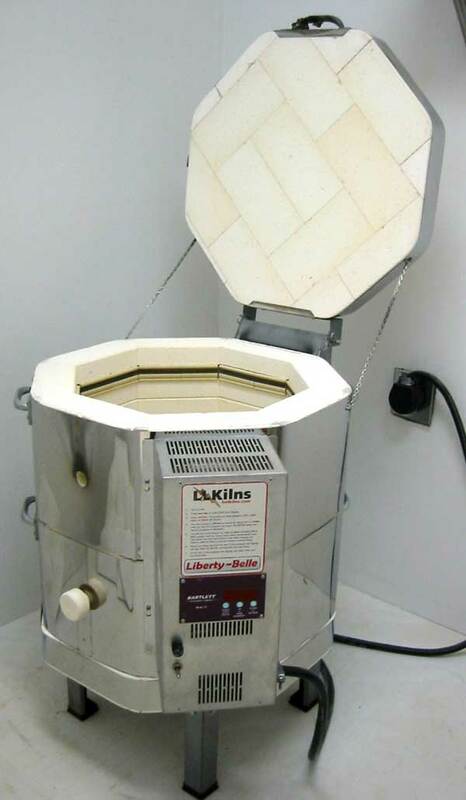 My previous positive experience using the Econo-Kiln was the sole reason why I chose to purchase a new one, this time with a computer controller. 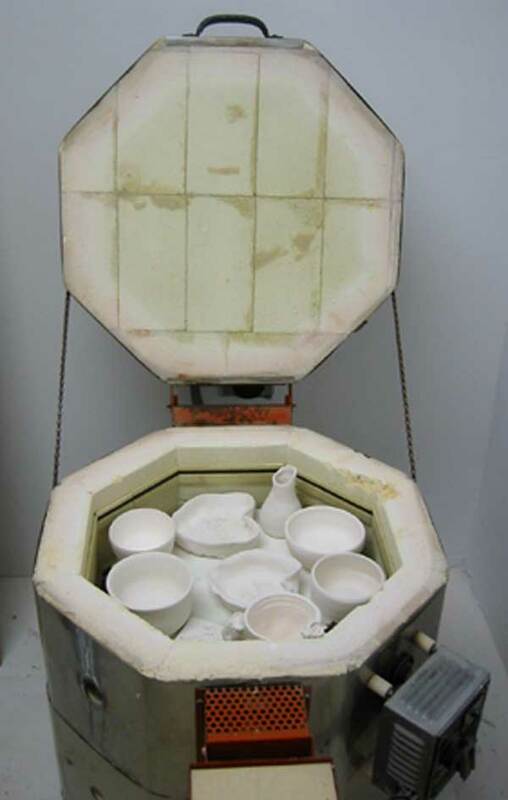 I feel the new kiln will allow more versatility, flexibility and ultimately more control over the firing process. 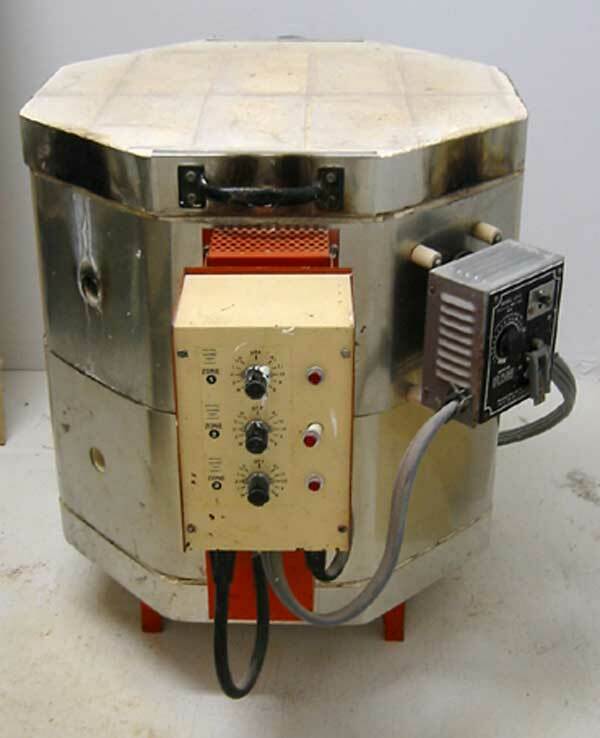 A few years ago I added another, larger kiln a E23-S, also with a computer controller. With two thermostat controllers it fires consistently with beautiful results. 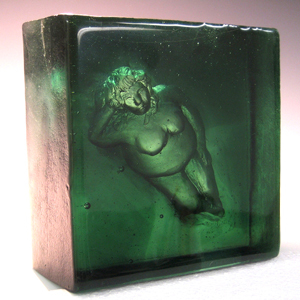 I also use both L & L kilns for glass fusing/kilncasting purposes." "I work in cone 6 porcelain and stoneware. 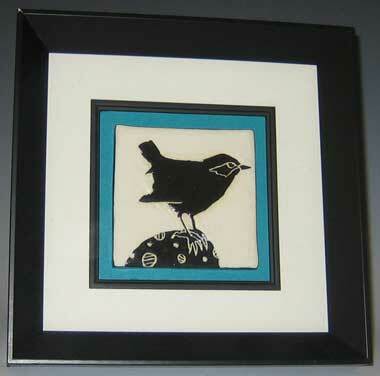 From a physical comfort aspect, I prefer to work small and most of my work is 8" high or less. I am represented by Southside Gallery in Oxford, MS (Home of Ole Miss), am a juried member of the Craftsman's Guild of MS and a juried member of the Oxford Artist Guild. I am also an artist in residence for VSA Arts, MS (and work with mentally and/or physically disabled children). 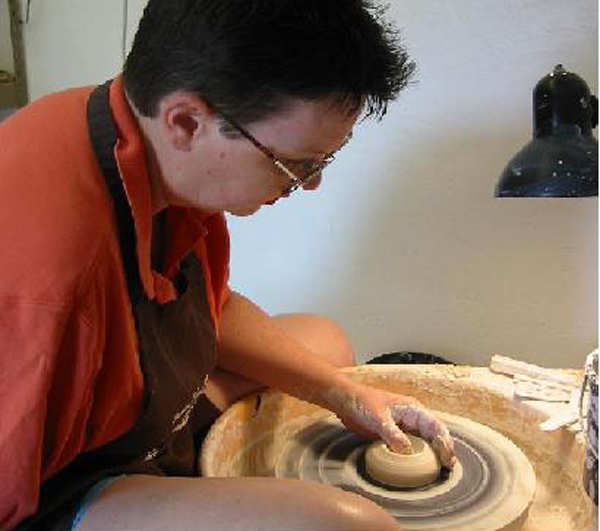 I am included as one of only four potters in the MS Arts Commission (juried) Artist Roster. I work full time at FedEx in Flight Training and am an Adjunct Professor at Embry-Riddle Aeronautical University. 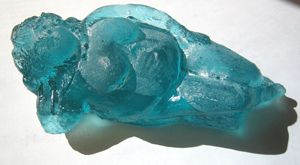 My other full time job is creating pottery, tile and fused/kilncast glass, PMC (silver clay) jewelry and conducting workshops. 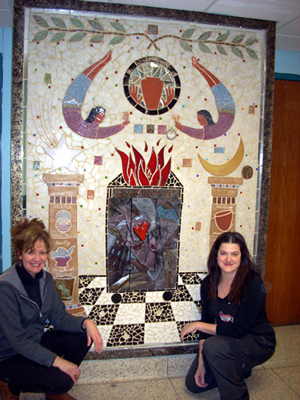 I have 2 college-age daughters, one of which is very interested in the arts, blows glass and gifted artistically." "I want to do as much as I can to reach out to children with clay whether they are able bodied or disabled. Even the most impaired child can pinch a piece of clay, or imprint it. I am in the process of writing a clay related “how to” book dedicated to educators.